" It has been a blessing to find this web site." 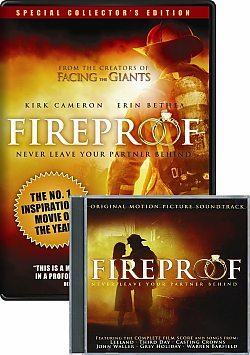 Fireproof Original Motion Picture Soundtrack CD captures the inspiring, faith-driven message of the No. 1 independent film release of 2008 and biggest hit DVD. The disc also includes a special bonus Fireproof Remix of John Waller’s While I’m Waiting with a poignant video. Your favorite Christmas music set to 5 beautiful Nativity sets!